A growing number of climate advocates say increasing the price of fossil fuels is the surest way to reduce greenhouse gas emissions, but leaders in the House and Senate are resisting calls for a carbon tax in Vermont. During the last two legislative sessions, lawmakers introduced several bills that would have assessed a new tax on carbon-emitting fossil fuels. Last week, on the opening day of the legislative session, 40 or so people rallied in the Statehouse cafeteria against a carbon tax. “I set the rally up to put the legislators under the Golden Dome on notice: This will not be a solitary event. We will continue to return here. And our numbers will grow,” said the rally’s organizer, JT Dodge of Newbury. The reality, however, is that Dodge and his compatriots might not have much to fight this year. The Democratic leaders in the House and Senate say they are skeptical of a carbon tax bill. And even if lawmakers introduce one this year, it’s hard to imagine it’ll make it very far. “Where the carbon tax is concerned overall, I haven’t seen a proposal that does what it’s designed to do, in terms of curbing fossil fuel, while still be realistic in terms of lower-income Vermonters,” says House Speaker Mitzi Johnson. Senate President Pro Tem Tim Ashe says based on research he’s seen, he isn’t convinced a state-level carbon tax would even work. “The price will not impact behavior to the extent that many interest groups believe it will,” Ashe says. Carbon taxes are facing new troubles on the left even as the idea is beginning to slowly inch from the political wilderness on the right. Why it matters: The posture of ascendant progressives is another reason why it’s unclear if carbon taxes will ever emerge as a central federal climate policy. It’s a stark contrast from a decade ago, when Democrats put a different pricing method — a cap-and-trade plan — at the center of the climate bill that passed the House but collapsed in the Senate. Americans for Carbon Dividends — a group aligned with GOP elder statesmen and backed by major oil companies — is lobbying for a carbon tax that would nix key emissions regulations in return. And, a very small bipartisan group of House members has formed around a CO2 tax proposal as well and plans to revive it this year. For the wealthy, a carbon tax would be an inconvenience. For the rest of us, a carbon tax is a catastrophe. Though that’s from a 1966 song by The Beatles (“Taxman”), with our Legislature plotting to impose an $.85 per gallon tax on gasoline and fuels, it might as well have been written in 2019. Can somebody help me to imagine what the representatives of the state of Vermont, with the 50th or lowest carbon emissions of all states in the Union, are possibly thinking? Or are they thinking? Can a zeal to save the world from the supposed pernicious evils of all things carbon, justify a blindness to the financial and economic consequences to the lower and middle class working Vermonters? You know, the ones for whom consumption of gasoline and fuel oil is not a capricious and discretionary luxury but an absolute necessity in order to live, work, drive, heat a home and make a living? This is a highly regressive tax which has a punishing effect on those who have no money left at the end of the month, which would include at least half of all Vermonters. 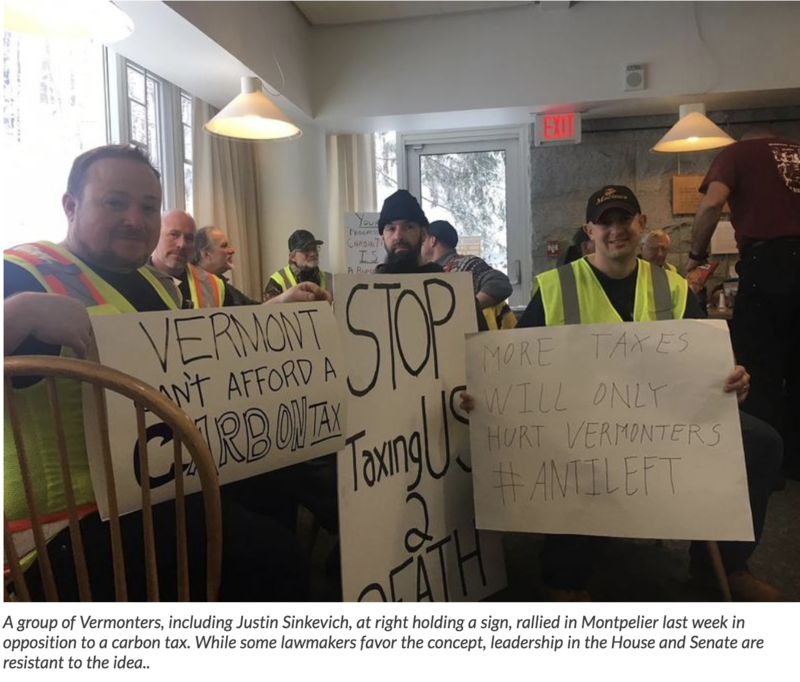 And let’s not forget the indirect taxation to all Vermonters on all goods which must be either produced or transported by the use of fuels, which costs will be reflected in the inflated costs of everyday necessities for Vermonters. After all, it’s not as if most citizens are like a certain politician from our state who recently flew around the country for 13 days in a private jet for almost $1million when he could have flown on a commercial jet, all while proclaiming that climate change is the biggest crisis since World War II and that millionaires are evil. Hypocrisy, thy name is Sanders! But I have no qualms with finding a way to reduce our emissions. For example, if we stop subsidizing inefficient renewable companies with ratepayer and taxpayers’ money, these companies will be forced to innovate and produce renewables elements which can actually pay their own way. This would also have the added benefit of short-circuiting the crony capitalism put in place by previous Vermont administrations which we all are paying for today. In other words, instead of punching Vermont taxpayers in their overtaxed mouths with still another tax, reduce the sweetheart deals to the solar industry so that they will be obliged to produce systems that can pull their own weight in the world of costs per kilowatt hour. The good news is that the costs of renewables like not only solar and wind, but geothermal, bioenergy and hydropower are coming down so fast, that the market itself will solve the very problem which the proponents of this carbon tax say they are trying to solve. In the meantime, the current lowest cost producers of energy, the regions’ two nuclear reactors, must be protected and preserved. And tell Gov. Phil Scott that Vermont does not need to participate in a Transportation and Climate Initiative which will give us the sneaky cap and trade which is a Trojan Horse deception cleverly designed to give us a carbon tax by another name. 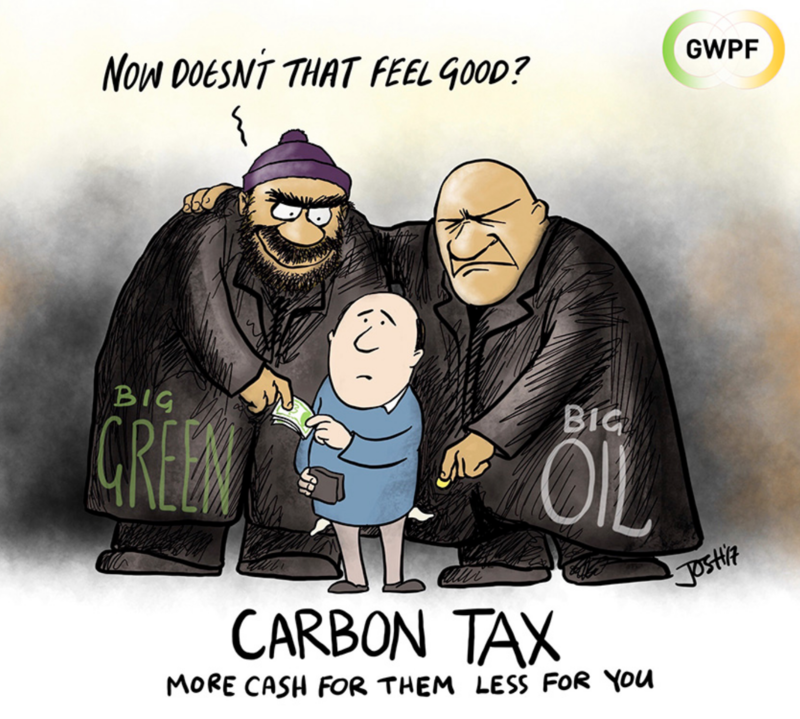 With apologies to William Shakespeare, a carbon tax by any other name will smell just as foul, ironically coated with the black soot of political chicanery to boot. And stop making Vermont more anti-business by new onerous Act 250 restrictions on building which are now supposed to be “carbon neutral. Humans will be carbon neutral only when they are dead. Of course, this new and oppressive taxation might well hasten the arrival of that very day for some. Vermont is the greenest state, with the second-smallest population. Even if you accept the most dire claims of the climate alarmists, a carbon tax imposed on Vermont would not have any significant or even measurable impact on our climate. It would be a symbol lifted up on the backs of the poorest among us, on working-class Vermonters living paycheck-to-paycheck, retirees living on fixed incomes—those who can’t use any less gasoline for their cars or fuel for their homes than they already are using. For the wealthy, a carbon tax would be an inconvenience. For the rest of us, a carbon tax is a catastrophe. How very revealing it is that the same political group which loudly proclaims their concern for the poor and disadvantaged by promoting more of their government provided compassion, is willing to sacrifice those same souls on the green altar of carbon neutrality. Besides, this is not an argument about climate change, this is an argument about pure economics. Whatever you believe about the effects of CO2 emissions, this tax is simply wrong. So, yes, this proposed tax is not a symbol of sound environmental stewardship. It is a symbol of the callous cluelessness of its proudly self-righteous proponents. 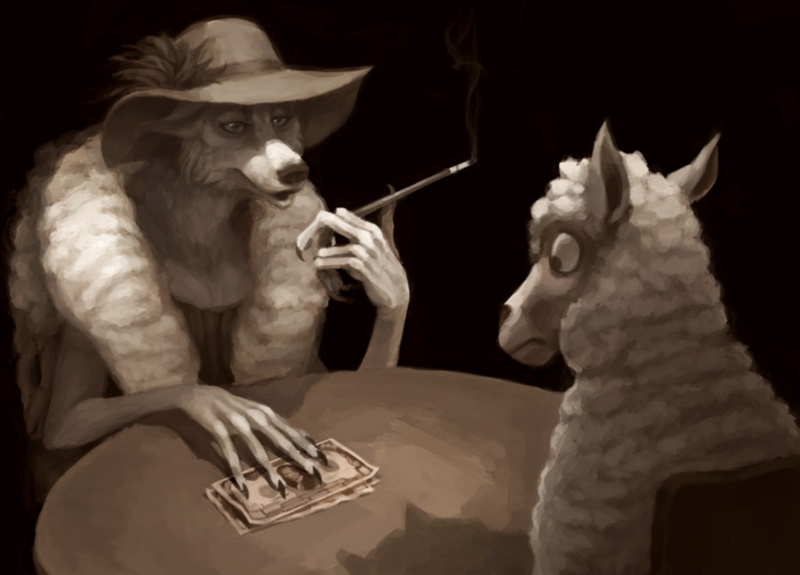 How very revealing it is that the same political group which loudly proclaims their concern for the poor and disadvantaged by promoting more of their government provided compassion, is willing to sacrifice those same souls on the green altar of carbon neutrality. Besides, this is not an argument about climate change, this is an argument about pure economics. The latest move by the government to collect more revenue from people is the introduction of a carbon tax. Vehicle owners will have to pay a carbon tax based on the engine capacity and the year of manufacture of their vehicles from next year onwards. Older vehicles and those with bigger engines will be taxed more. Electric vehicles (EVs) have been exempted from the tax. According to the 2018 budget, the government expects to collect Rs.2.5 billion from the tax. However, this carbon tax, which is introduced in the guise of a progressive measure to protect the environment, is fundamentally flawed. It has now come to light that bigger the engine, bigger the carbon footprint, isn’t always the case. Tests have revealed that vehicles with smaller engines tend to emit more carbon dioxide and nitrogen oxide when they carry more than light to moderate loads. For example, the carbon footprint of an 800cc Maruti loaded with five people with some luggage could be higher than the carbon footprint of a Toyota Camry with a 1800cc engine carrying only one or two people. At the same time, the new carbon tax violates the most basic tax principle of equity by taxing on the engine capacity and not on the usage. A retiree might take out his Toyota Camry to buy groceries only on weekends and to visit the doctor every month, whereas a Maruti owner could be driving to work six days of the week. This would make the carbon footprint of the Maruti owner much higher, although his car has a smaller engine, compared to the Camry. But he will still be taxed lower, as opposed to the Camry owner. Further, this carbon tax, like many other taxes, burdens the poor more than the rich. The poor or low-income people generally own older vehicles, which are less expensive, while the rich always go for the latest models with higher price tags. Hence, taxing on the age of the vehicle will make the relatively poor people pay more taxes. Another bizarre feature of the new carbon tax is the exemption given to EVs. Studies have shown that the carbon footprint of electric and hybrid vehicles during their production is higher than the traditional cars running on gasoline. Also, in Sri Lanka, almost all the electric cars are charged using the electricity sourced from burning coal or furnace oil. Yes, electric cars don’t emit carbon dioxide or nitrogen oxide. But that doesn’t mean that they don’t contribute to pollution. It just means that the source of pollution moves from the car to the power plant. On top of all these, the Sri Lankan vehicle owners have already been paying an emissions tax to the government for years. It is mandated for all privately owned vehicles to undergo an emissions test every year, prior to the renewal of the revenue licence. Three private companies carry out these tests and they charge the tax from the vehicle owners on the government’s behalf. As many enlightened minds would agree, the problem Sri Lanka has been having for years is its rather stupid effort to implement the First-World laws, regulations and practices despite being a Third-World or a developing country. There is no harm aiming high but one has to be attuned to the ground realities when designing policies. The carbon tax is one such ill-thought-out policy, which has nothing to do with protecting nature and the environment but everything to do with shoring up the government revenue to help plug in the country’s ever expanding fiscal deficit. If the government really wants to protect nature and the environment, they should converge all their efforts to stop the deforestation that is happening at an alarming rate, due to human activities. At least shouldn’t the policymakers be decent enough to tell the public the simple and plain truth than preaching lofty ideals (or lorry talks as the common man on the street would say) when they slam us with more taxes? Is that too much to ask? The protests have become the biggest crisis of Macron’s presidency and he hopes that returning to the more participative democracy he promised in his 2017 grassroots campaign will satisfy the protesters’ demands for a greater say in the running of the country, amid accusations that he is too aloof and his policies favour the wealthy. 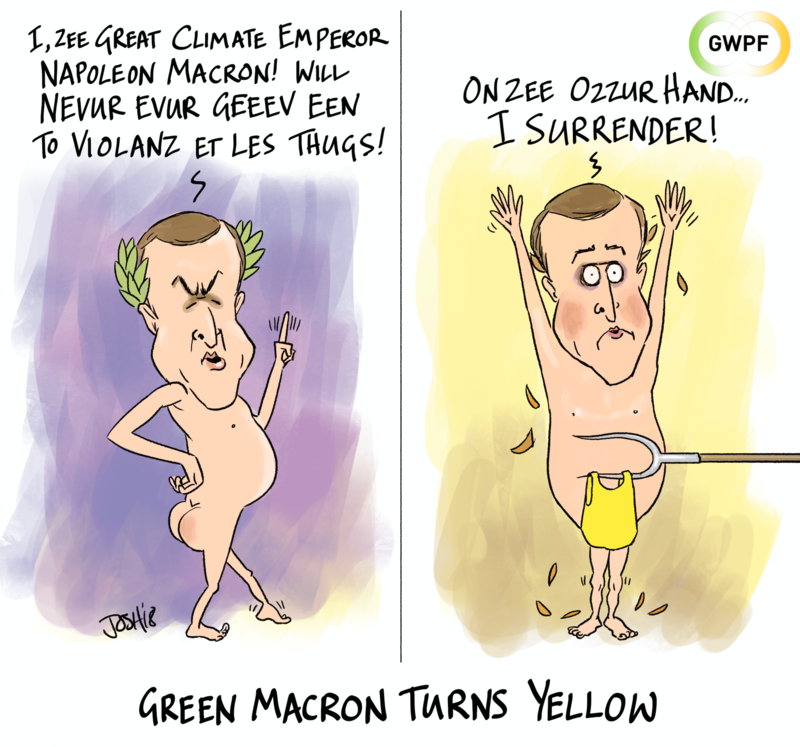 Macron said the debates are “neither an election nor a referendum” and would revolve around 35 questions on issues such as taxation, democracy, the environment and immigration. “I intend to transform anger into solutions,” he said in the letter, which had been due to published on Monday, but was released by his office late Sunday. “Your proposals will help build a new contract for the nation, organising the actions of the government and parliament, but also France’s positions at the European and international levels,” he said. The questions that will be debated include: “Which taxes do you think should be lowered first?”, “Should some public services that are out of date or too expensive be eliminated?”, “What concrete proposals do you think would accelerate our environmental transition?” and “Should we use more referendums?”. It is often claimed that 97 per cent of scientists conclude that humans are causing global warming. Is that really true? No. It is a zombie statistic. In the scientific circles I mix in, there is an overwhelming scepticism about human-induced climate change. Many of my colleagues claim that the mantra of human-induced global warming is the biggest scientific fraud of all time and future generations will pay dearly. If 97 per cent of scientists agree that there is human-induced climate change, you’d think they would be busting a gut to vanquish climate sceptics in public debates. Instead, many scientists and activists are expressing confected outrage at the possibility of public debates because the science is settled. After all, 97 per cent of scientists agree that human emissions drive global warming and there is no need for further discussion. In my 50-year scientific career, I have never seen a hypothesis where 97 per cent of scientists agree. At any scientific conference there are collections of argumentative sods who don’t agree about anything, argue about data, how data was collected and the conclusions derived from data. Scepticism underpins all science, science is underpinned by repeatable validated evidence and scientific conclusions are not based on a show of hands, consensus, politics or feelings. Scientists, just like lawyers, bankers, unionists, politicians and those in all other fields, can make no claim to being honest or honourable, and various warring cliques of scientists have their leaders, followers, outsiders and enemies. Scientists differ from many in the community because they are allegedly trained to be independent. Unless, of course, whacking big research grants for climate “science” are waved in front of them. The 97 per cent figure derives from a survey sent to 10,257 people with a self-interest in human-induced global warming who published “science” supported by taxpayer-funded research grants. Replies from 3146 respondents were whittled down to 77 self-appointed climate “scientists” of whom 75 were judged to agree that human-induced warming was taking place. The 97 per cent figure derives from a tribe with only 75 members. What were the criteria for rejecting 3069 respondents? There was no mention that 75 out of 3146 is 2.38 per cent. We did not hear that 2.38 per cent of climate scientists with a self-interest agreed that humans have played a significant role in changing climate and that they are recipients of some of the billions spent annually on climate research. Another recent paper on the scientific consensus of human-induced climate change was a howler. Such papers can be published only in the sociology or environmental literature. 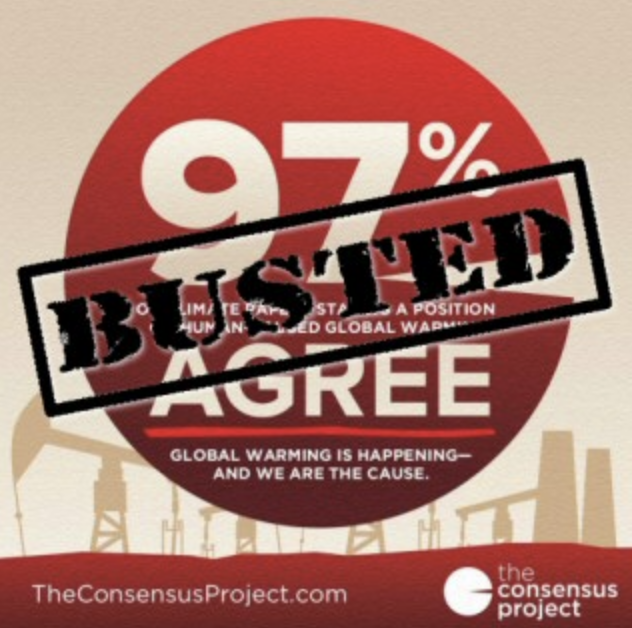 The paper claimed that published scientific papers showed there was a 97.1 per cent consensus that man had caused at least half of the 0.7C global warming since 1950. How was this 97.1 per cent figure determined? By “inspection” of 11,944 published papers. Inspection is not rigorous scholarship. There was no critical reading and understanding derived from reading 11,944 papers. This was not possible as the study started in March 2012 and was published in mid-2013, hence only a cursory inspection was possible. What was inspected? By whom? This translates as: This study was a biased compilation of opinions from non-scientific, politically motivated volunteer activists who used a search engine for key words in 11,944 scientific papers, were unable to understand the scientific context of the use of “global warming” and “global climate change”, who rebadged themselves as “citizen scientists” to hide their activism and ignorance, who did not read the complete papers and were unable to evaluate critically the diversity of science published therein. The conclusions were predictable because the methodology was not dispassionate and involved decisions by those who were not independent. As part of a scathing critical analysis of this paper by real scientists, the original 11,944 papers were read and the readers came to a diametrically opposite conclusion. Of the 11,944 papers, only 41 explicitly stated that humans caused most of the warming since 1950 (0.3 per cent). Of the 11,944 climate “science” papers, 99.7 per cent did not say that carbon dioxide caused most of the global warming since 1950. It was less than 1 per cent and not one paper endorsed a man-made global warming catastrophe. Political policy and environmental activism rely on this fraudulent 97 per cent consensus paid for by the taxpayer to rob the taxpayer further with subsidies for bird-and-bat-chomping wind turbines, polluting solar panels and handouts to those with sticky fingers in the international climate industry. It’s this alleged 97 per cent consensus that has changed our electricity from cheap and reliable to expensive and unreliable. Activists with no skin in the game are setting the scene for economic suicide. Time for yellow shirts to shirt-front politicians about their uncritical acceptance of a fraud that has already cost the community hundreds of billions of dollars. See also: Andrew Montford: Consensus? What Consensus? Transfixed as you were by Westminster chaos, did you also spot the news that Hitachi is about to cancel or suspend construction of the Wylfa nuclear power station in North Wales? The Japanese engineering giant has evidently failed to reach agreement on a guaranteed electricity price and terms for a UK government stake in the project; its decision follows that of its compatriot Toshiba, which in November pulled out of building a nuclear station at Moorside in Cumbria, largely because it disliked the Treasury’s favoured financing model that loads risk on to the contractor. These two projects between them were intended to keep the lights on in 11 million UK homes, factories and offices. Theresa May’s talks last week with Shinzo Abe, her visiting opposite number from Tokyo, were too consumed by the threat of no deal to cover the question of whether future London trade talks with Japan will have to take place in the dark. Business Secretary Greg Clark also last year rejected (against independent advice) the Swansea Bay tidal lagoon project, which if replicated at other coastal sites might have provided another useful percentage of national power. So the gap created by continuing closures of carbon-fuelled and old nuclear stations — a long-time theme of this column — looms wider than ever. The only alternative anyone talks about is unreliable offshore wind, and the only major onshore project still claiming to be on track is the most controversial of all: the Hinkley Point nuclear station, being built by the French company EDF with Chinese partners, and using a reactor design that has encountered serious problems elsewhere. If Hinkley really comes on stream by 2025 as planned, it will sell electricity at a guaranteed price that is double the current market level, with the excess cost passed to every UK consumer. EDF might then move on to a similar new build at Sizewell in Suffolk, or we might find only the Chinese still willing to do business with us in a sector with such a troubled history. 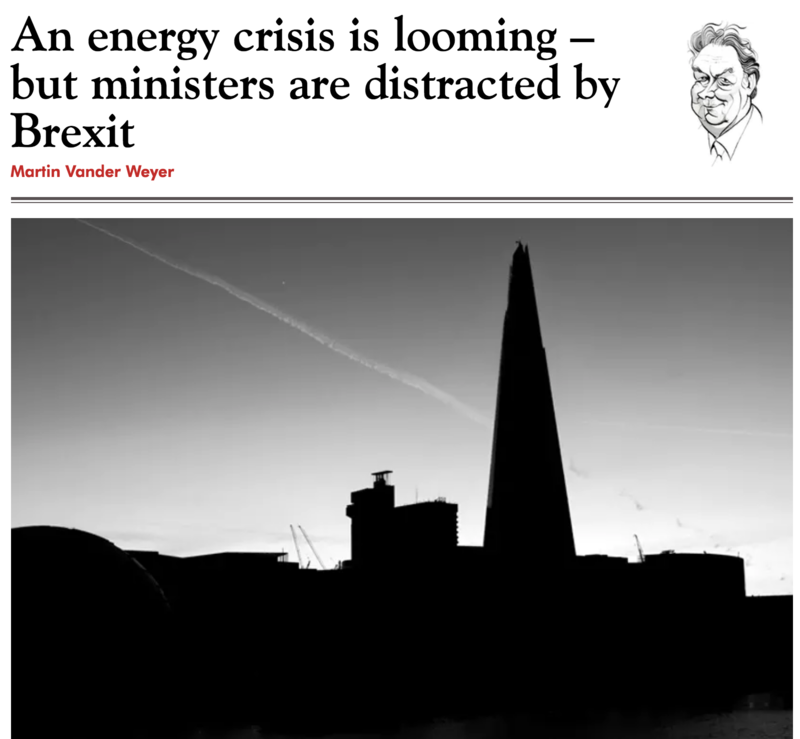 But the energy shortage that has been threatening for a decade is coming closer to reality — and when the Brexit hubbub finally subsides, it will be high on the list of issues with which distracted ministers have failed to deal. The popular new narrative for the UK auto industry is that its troubles are only temporarily to do with Brexit and much more to do with misguided policies, wrong decisions and economic swings. There’s a sharp decline in demand for luxury models from pinched Chinese consumers, while diesel sales have slumped because regulators continue to penalise them despite cleaner engines, leaving manufacturers regretting model-range investments. The EU’s new emissions testing regime has caused production problems across the continent; electric vehicle sales won’t take off until governments provide more charging points; and as interest rates begin to rise, motorists are losing the appetite for buying new cars on credit.